Oslo design studio günzler.polmar was founded in 2011 by Sara Polmar and Victoria Günzler, who met while studying architecture and furniture design. Together with Sverre Uhnger, they also established Klubben, the international Norwegian design initiative, the same year. Mundane objects and traditional craft techniques are Victoria’s main sources of inspiration, whereas Sara emphasises playfulness in her process. They both appreciate good craftsmanship and high-quality materials and their goal is to create objects that the user is induced to take care of, cherish and use for a long time. 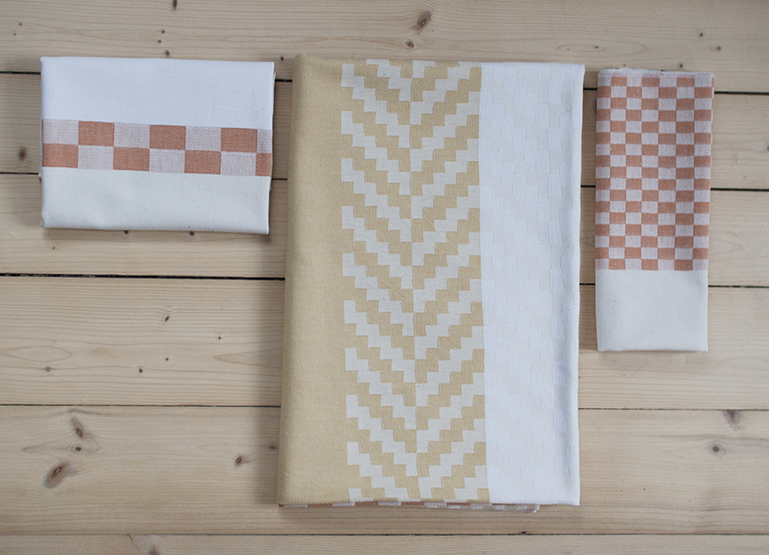 Their latest textile prototype, debuting at 100% Norway, is a set of patterned linens and towels resulting from their collaboration with Solberg Spinderi, a 185-year-old textile manufacturer near Oslo, which produces fabrics for traditional Norwegian bunads. 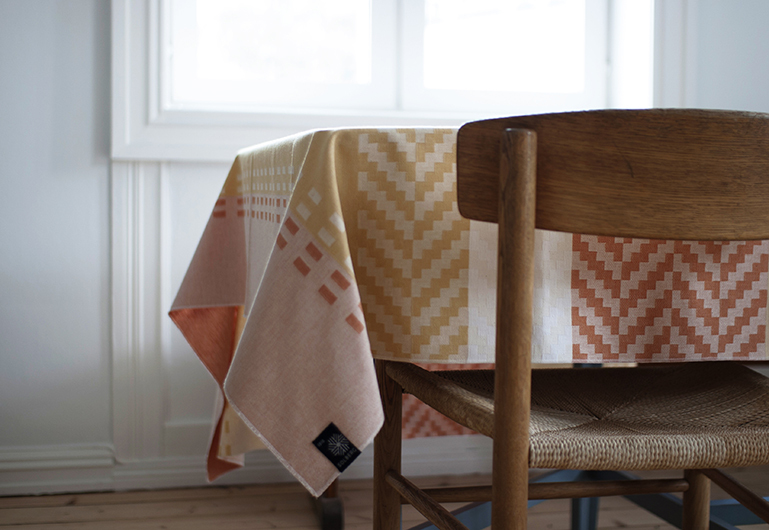 After researching the patterns and colours from the extensive Solberg archives, Polmar and Günzler have developed a method of allowing a single bold, graphic pattern to be uniquely expressed in a variety of textile products, including bedspreads, towels, placemats, tablecloths and more – all cut from a single roll.